Miss Mabel's School for Girls could have been a real MVP among YA witch novels. All girls' magical school? Awesome, I'm with it. Main character who is strong and smart? Give it to me. No pesky insta-love to derail our MC from her objective? Fantastic! I regret to report that Miss Mabel's School for Girls did not meet my expectations. It actually took me quite awhile to finish MMSFG. According to Goodreads, I started in on August 11, 2017 and finished it on June 8th, 2018. Almost a year. Yikes. What I think put me off the most was how slow going the book was. This was the epitome of a "character driven" book, in that we spent so much time in Bianca's head because that's all she did--she thought about everything. She never just did things. Because of that, I felt the book lulled and never pulled me in enough. As you can see from my GR comments, it was around two-thirds of the book that I felt the plot finally started to be compelling enough to warrant me to finish it in one sitting. "Pressure and responsibility are driving forces, but only knowledge creates power." Honestly, I don't have much to say about MMSFG other than I wanted more from it. It's Katie Cross's first book and lately I've been making a point to not rag on debut novels so harshly because I understand that novels are tough to write and putting them out there is like putting a piece of your soul on display. So, my best constructive criticism would be to level out the world-building with the character-building. A lot of people seem to be comparing this to Harry Potter, which I didn't see at all, but one point I want to make about HP is that it was so successfully because JK Rowling struck that sweet spot between making a wonderful magical world so believable, as well as a well rounded cast of characters that we got to know very intimately. When writing fantasy and magic stories, there's so much opportunity to really go ham with the surroundings and invent things to delight us readers. I wanted to see more of that, is all. Bianca has a tough road ahead of her, having bound herself to Miss Mabel in order to break the curse on her. I think I would be interested to see where the story goes, but I'll be honest that it's not a priority. Miss Mabel's School for Girls is available for purchase on Kindle, as a paperback, or as an audiobook. 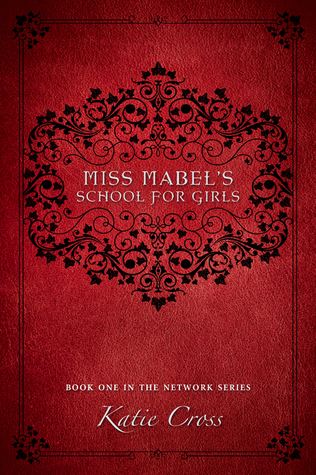 Miss Mabel's School for Girls is my first novel. More to follow.